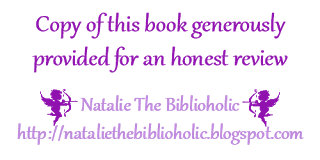 Review: The Fine Line by Alicia Kobishop | The Biblioholic ~ Read more. Sleep less. I haven’t read a YA/NA romance book in such a long time that I wasn’t sure what to expect. What I found was a endearing and enchanting character in Logan. Dammit, I wish I was able to get his POV in this one. It’s not to say that I didn’t like Olivia because I liked her well enough. However, I LOVED Logan. He was a many-women man. He didn’t know the first thing about relationships. Yet when he met Olivia, all of his whoring and all of his previous ways became things he wanted to put in the past. For her. He was willing to do and give up anything for the chance to be with her. How many guys that young do you know who are willing to do that? I admit to being frustrated with Liv and the way she kept treating Logan for most of this story. It was hard to stomach, especially as he kept laying his heart on the line. For her. I was beyond ecstatic when she finally gave in to her true feelings. I just wanted Logan to be happy! This story was written with a charm that lent a certain maturity to its characters. Logan didn’t come off as a new adult. His lifestyle, the drag racing, the drinking, the partying, the women, his choices, the way he thought and the way he acted were befitting someone older. And yet it worked. Would I be interested in reading more from this author? Yup. I’m actually off to read The Fragile Line series. I’m not really all that interested in reading about Chloe, not after the nonsense she pulled in this book, but I would like to learn more about Matt.